The honeymoon is that special time for a couple when they finally begin their journey together. Well, weddings are hectic and demanding for the bride and groom. After all the hustle and bustle, this is the time when they can finally relax and enjoy each other’s company, away from the stress and strain of their daily lives. Thus, one thing common emerges over here, that for an ideal honeymoon, you need a quiet and serene atmosphere where you can actually enjoy and lose yourself in the lap of nature. A beautiful and serene locale is what an ideal honeymoon calls for. It is really the time to spend some time away from the demands of daily life and escape to a place, which provides the ideal setting to spend time with each other. 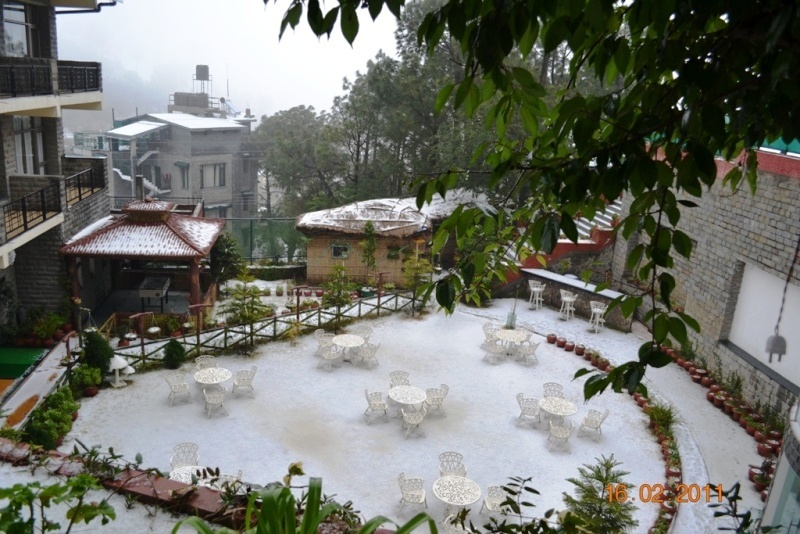 Kasauli: This small hill station is one of the treasures of Himachal Pradesh. It is best if you hire a private car or if you have your own car, then drive to this place which just 54km away from Chandigarh. It will take you only an hour or so to reach your desired destination and, in the process, you can even enjoy a long beautiful drive together, making it the perfect honeymoon getaway plan. It is quiet, tranquil and has a colonial aura. This is mainly because of the towering churches that are a reflection of the days of the British. You can take long walks, your arms into each other and soak in the natural beauty of this place. It is ideal for staying the weekend. If you are short on time for your honeymoon due to unavoidable pressures or if you want to keep it short and simple, then Kasauli makes a perfect choice. 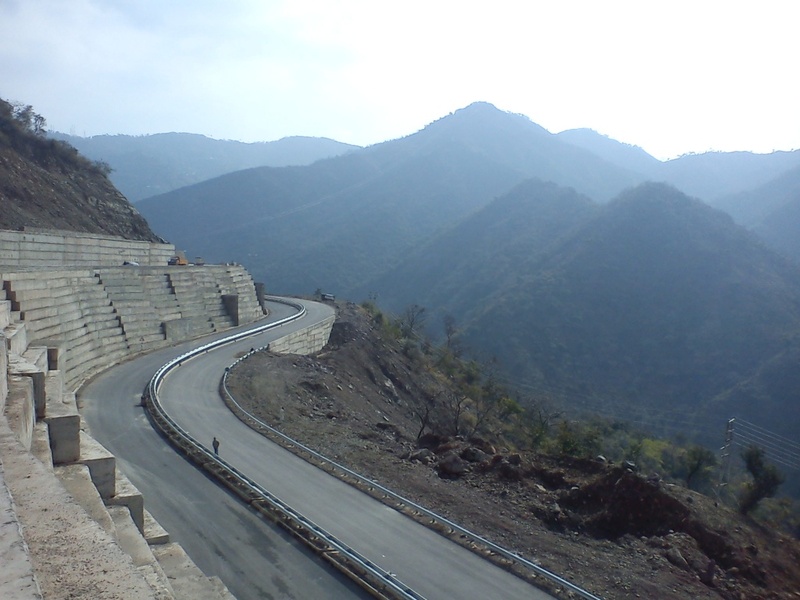 Morni Hills: If you are looking for honeymoon places near Chandigarh, you will mostly come across hills due to the terrain in this part of the country. 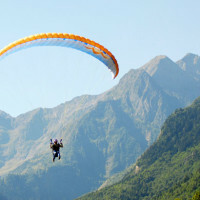 Thus, hill stations will always make the ideal choice. 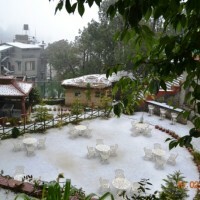 Another hill station that you can opt for, for your honeymoon is Morni Hills. 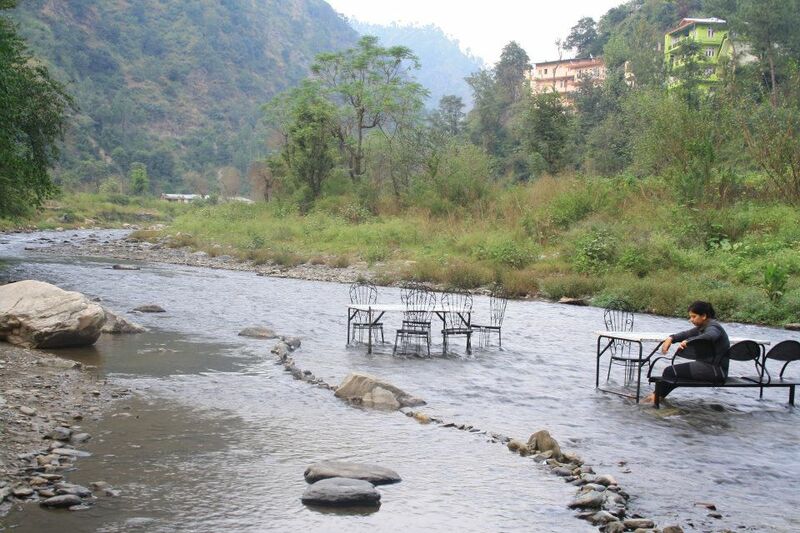 It is only 45km away from the city of Chandigarh. 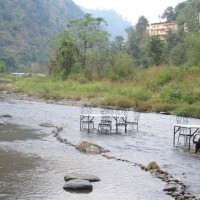 One of the major attractions of this place is the trek that you two can take to Ghaggar River. If both of you do share a liking for trekking or if you want to try it out, then you can do something new and something together for the first time here at the Morni Hills. This place also abounds in natural flora and fauna, being particularly noted for its birds and flowers. Parwanoo: Are you getting married in the summer months? Are you short on time when it comes to your honeymoon? Well, here’s a quick, easy and great solution for your problems. 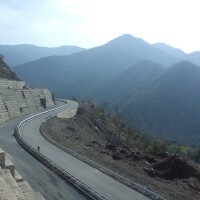 Just take the highway of Chandigarh-Shimla, travel for about an hour (max. 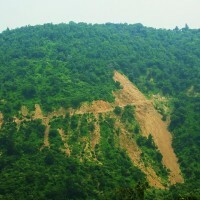 ), covering a mere distance of 30km and you will reach Parwanoo. This is another beautiful hill station, which will help you in escaping from the sweltering heat of the sun in the city, during the summers. Just a short distance away, you will be able to find respite, relief from heat and relaxation in this short and sweet hill station. The scenic beauty is the most noted plus point of this place, and you two can explore all that nature has to offer, hand in hand and spend a nice weekend for your honeymoon. 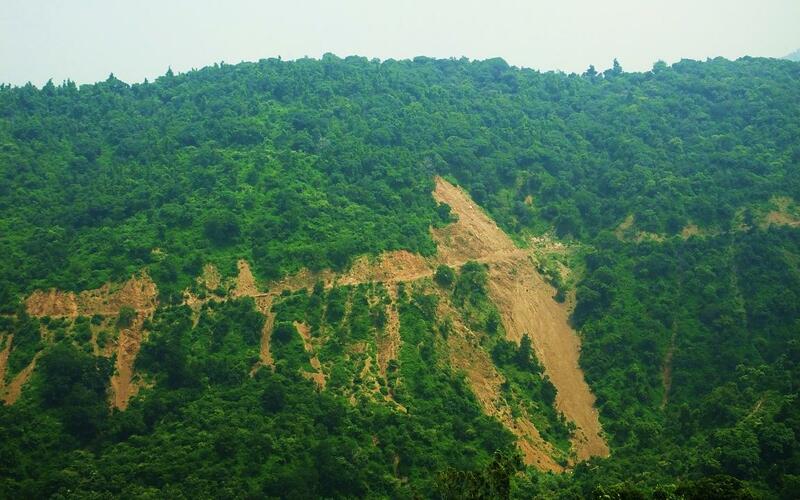 Chail: If you do not have a problem travelling about 100 or 103km, then opt for Chail. You must have heard about this place in Himachal Pradesh since it is known for having the highest cricket pitch in India. The place is majestic to look at and why will it not be, for it once enjoyed the status of being the Maharaja of Patiala’s preferred summer getaway. It’s all about nature and her beauty here, which makes it a peaceful retreat for your honeymoon. 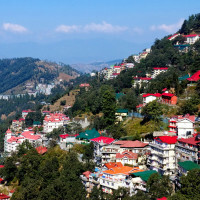 Shimla: Take the highway and drive for about 130km to reach Shimla. This place does not need any special introduction, being not only one of the most loved hill stations but also honeymoon destinations near Chandigarh in the country. You can roam the streets or go for sightseeing tours when here. The plus point about this place is that you will never run out of things to do here together. If you have some time in your hand, then do stay here for at least three or four days. It, generally, remains very crowded during the summer months, but if your honeymoon is in the summer, the company of each other will keep you oblivious to the crowd. There are some really beautiful houses here, which you can explore while taking a walk around the hill station. 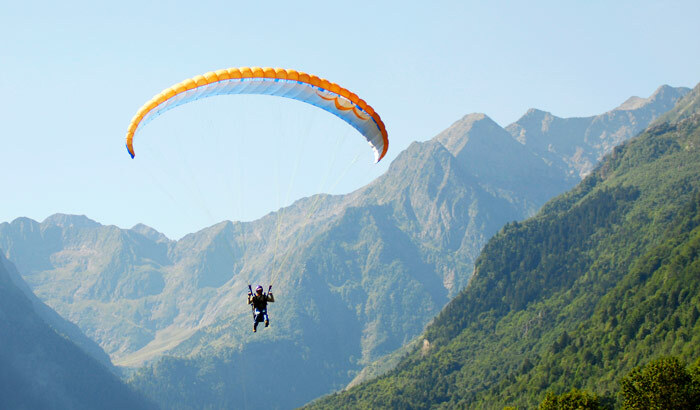 Dharamshala: If you are willing to travel a little far, which amounts to about a drive of seven hours, then go for Dharamshala. Exploring the place in its entirety would take about maximum two days, and you can spend a few days extra, getting to know each other better. It is famous for the Buddhist Monastery, and you will bump into quite a few elegant churches as well. It is a compact destination, which promises you a good long drive and then a lot of time to spend with each other. While planning your honeymoon to the local getaways, make sure that you get your bookings done in reputed places and well beforehand. No matter how short the trip is, plan it beforehand so that you can be prepared if anything goes amiss. After all, you do want your honeymoon to be the perfect one!